I just searched my blog because I can't believe I haven't done a post on Mistobox. Mistobox is a monthly delivery box system based around amazing coffee. You know how much I love subscription services (almost as much as I love amazing coffee). They got their start on Shark Tank, so you KNOW they're legit. 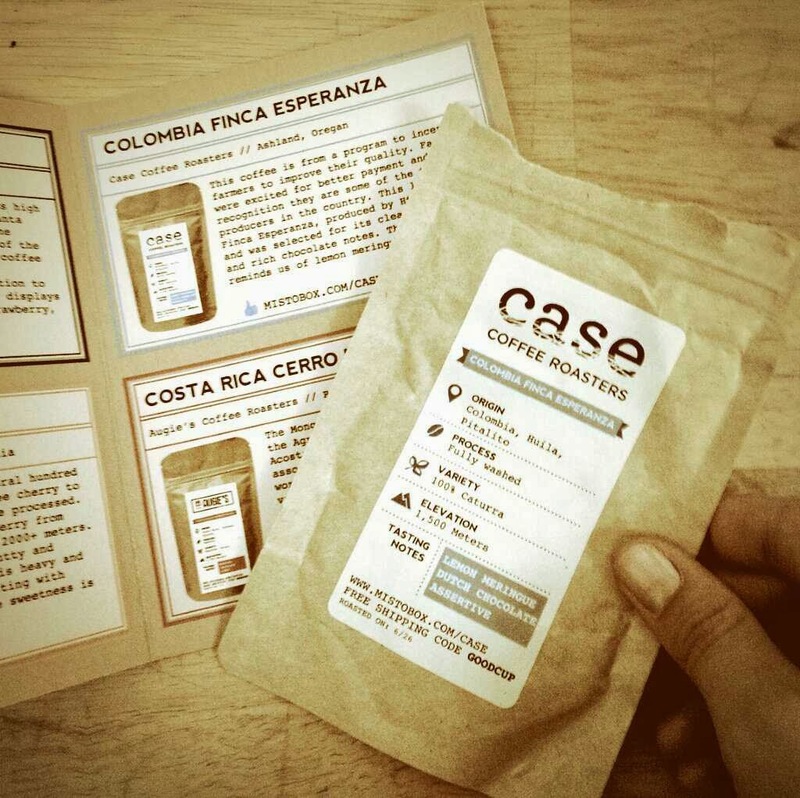 They select 4 coffees from roasters around the country, package them up cute with everything you need to know to brew and enjoy, and ship them to your doorstep. It's $20 per month, but I think your first box is just $5 or $10. I've done probably 5 months worth, spread over the past year. Each coffee packet, shown above, is whole beans. I grind them up at home, put them back in the bag, and bring them to work for use with my baby bodum french press. If you're interested, my ratio is typically 8oz of water (it's a 12oz press, so 3/4 full of boiling water) over 2 heaping tablespoons fine-ground coffee. Each packet contains 50 grams, and a level tablespoon is about 6 grams, so I get 3 1-cup/8oz servings of coffee per bag. Not bad. On their FAQ page, they say you'll get 12-15 cups of coffee per box, making each cuppa joe between $1.30-$1.67. It's a great opportunity to explore new roasters, new origins, and so on. P.S.- here is a GREAT website for different brew methods; it's basically a amalgamation of some of the best coffee roasters and their opinions on how to maximize their beans and brews.